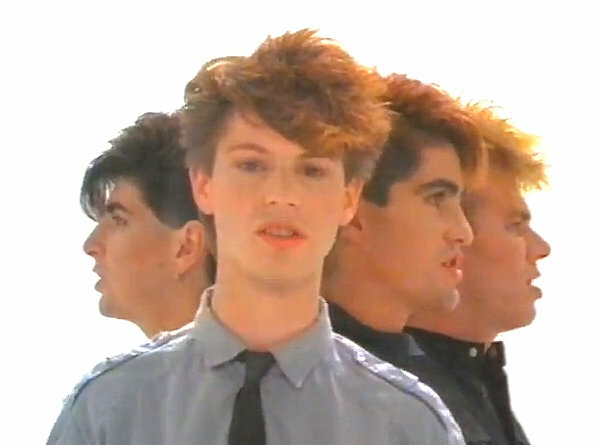 From Pseudo Echo‘s début single Listening, 1983*. SH: From your perspective as a question writer, what common mistakes do you see contestants making when answering quiz questions on TV? VH: Predicting the question before they hear it and answering their question rather than the actual one. This is something you see time and time again. Not just in quiz shows, but in all game shows requiring their contestants to answer questions. By “answering their question rather than the actual one”, Vin means the contestant has already “heard” a question that’s different to the one being asked; they’ve incorrectly anticipated where the question is heading. The skill of active listening – of attentive, conscious listening – is a really valuable skill for any game show contestant to have. If you’re a good, active, anticipatory listener, then you’re already ahead of your opposition who almost certainly haven’t given any thought to the role that listening plays in game show success. So, how do you become a good active, anticipatory listener? Firstly, I’d recommend you have a look at this great video – it’s from the fantastic TED Talks site. In this short video (just under 8 minutes), sound expert and keynote speaker Julian Treasure speaks about conscious listening, and gives 5 great tips that you can use to improve your conscious listening skills. It all starts with thinking about listening as an active process. Listening is different from just “hearing”; listening is something that you actually do, not something that just happens to you. I’m not going to tell you what Julian Treasure’s 5 tips are, because I want you to watch this video for yourself. But he’s a powerful, eloquent speaker, and his message is really worth hearing. So I strongly recommend investing 8 minutes of your time in watching – and really absorbing – this. After you’ve taken Julian’s 5 tips on board, and have started practising them, there are other exercises you can do to improve your listening skills. Something to bear in mind, though – the exercises here are mostly group exercises, so you’ll need to find someone to help you with them. But again, it’ll be worth it – you’ll both reap the rewards! Alright, alright, smartypants; calm down – I’m coming to that. Unbelievable. So, here are my top 5 game show listening tips. Bear in mind that you’ll get more out of these and be better able to put them into practice if you’ve done some of the homework above. Clear your mind. It’s estimated that people think at about 4 times the speed of speech. So when we’re listening to someone speak, it’s hardly surprising that our mind tends to wander off. Practice clearing your mind, letting distractions fall away, so that you’re available, alert and able to give what’s being said your full attention. Be present. Concentrate on being in the here and now – this follows on from the first tip, above. Often, people in the “listening” role are really only waiting until it’s their turn to speak, and planning what they’re going to say when that time comes. Remember that… and don’t do it! Train. Watch your show religiously. Study it carefully. Pay attention to the show’s specific style of questions, the show’s format of questions, the average length of the questions on the show. If you’ve been doing this, when the time comes, you’ll have a really good feel for the type of questions the show uses. This is a real advantage. Listen for ideas, not just words. This one’s a bit harder to explain – it involves listening to the meaning behind the words – what piece of information does the question want to elicit? This is where educated anticipation starts to come in. Obviously, the answer to a question that starts “Which word beginning with N” is a word beginning with N. The question will always clearly ask for one unequivocal answer. The more homework you do on your particular show, the more familiar you’ll become with its question formatting idiosyncrasies. I know I’ve mentioned this before, but on Temptation, I was faced with the question “Which anagram of ‘car’ is part of a circle?” I buzzed in after the word ‘car’, because I didn’t need the second half of the question. A 3 letter word can only have a very small number of anagrams. I took a punt and used the 3 seconds answering time to run through all the anagrams of ‘car’ in my head. There’s only one that made sense, of course – ‘arc’. Look at the speaker. Non-verbal communication is important, and there can be clues in the speaker’s eyes, hand gestures or even the way they move their mouth that can help you to hear and process the information more comprehensively. Again, I know I’ve said this before too, but on Temptation, I made it my habit to always look directly at the host’s mouth as he asked the questions. If you get into this habit, sometimes you can predict what the next word or two will be, and that can give you an edge. Whenever I see game show contestants “listening intently” by closing their eyes or squinting at the ceiling, I know they’re missing out on crucial non-verbal information that’s being communicated to them. Now I hope all of that is helpful, in some small way. If you can train yourself to become a good conscious listener, then you will be ahead of your competitors who, 90% of the time, haven’t given listening a second thought. Next week, I’m very pleased to post my first ever interview with a Jeopardy! winner. Actor Blair Martin went all the way to becoming an Undefeated Champion on Jeopardy!‘s short Australian run in 1993, and so he has loads of great, really useful tips for anyone wanting to win big on that show. Blair’s interview, however, is also a two-for-the-price-of-one deal, because in 2007, he became Temptation‘s 6th Grand Champion, taking home over $600,000 in cash and prizes. Our discussion covers both of these triumphs, and all the things he did in order to achieve them, as well as myriad other topics. I think you’re going to enjoy it, and Part I will appear next Tuesday, right here on www.HowToWinGameShows.com! *Please forgive me – I’m a child of the eighties. This entry was posted in Brain Training, Tactics by Stephen. Bookmark the permalink.